A. Borrelly discovered asteroid #394 Arduina. G. Van Biesbroeck discovered asteroid #1045 Michela. The 200 inch mirror for the Hale telescope arrived at Mt. Palomar, California. 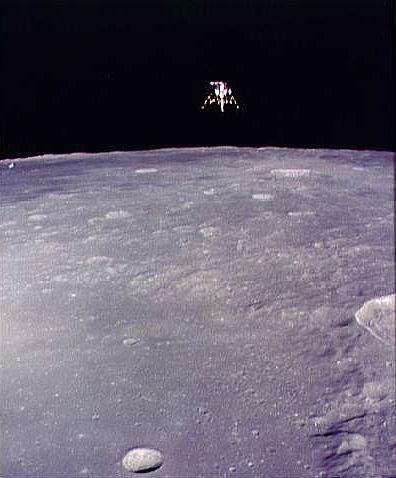 NASA's Apollo 12 Lunar lander, Intrepid, landed on the Moon during the second manned Lunar landing mission in history. Apollo 12 astronauts Charles Conrad and Alan Bean started their first EVA and become the third and fourth humans to walk on the Moon. P. Wild discovered asteroid #1961 Dufour. H.-E. Schuster discovered asteroid #2329 Orthos. P. Wild discovered asteroid #2152 Hannibal. Purple Mountain Observatory discovered asteroid #3171. NASA launched STS 80 (Columbia 21) into space on a partially successful flight that included deployment, operation and retrieval of two free-flying research spacecraft. NASA launched STS 87 (Columbia 24, Shuttle 88) into orbit on a partially successful flight in which the USMP-4 performed well. The People's Republic of China launched its first Shenzhou spacecraft in an unmanned test flight. Shenzhou (variously translated as "Vessel of the Gods," "Divine Craft," "Divine Mechanism" but also a pun on a literary name for China) is the name of a spacecraft from the People's Republic of China which first carried a Chinese astronaut into orbit on 15 October 2003. Development began in 1992, with the first four unmanned test flights on 20 November 1999 (19 November UTC), 9 January 2001, and 25 March and 29 December in 2002. It was launched on a Long March 2F from the Jiuquan Satellite Launch Center. The basic shape and division into modules resembles that of the Russian Soyuz spacecraft, and there has been tight cooperation with Russian space agencies and companies beginning in 1994, which also provided blueprints and transfers of full-scale Soyuz spaceships to China. Russian help was also important in the area of astronaut training. Both official Chinese sources as well as many Western analysts note that the Shenzhou is not merely a copy of the Soyuz and contains substantial amounts of indigenous design. In particular, the Shenzhou is substantually larger than the Soyuz and also contains a powered orbital module which is capable of autonomous flight. Japan's Hayabusa (MUSES-C) made first ever controlled landing on an asteroid, at 25143 Itokawa (1998 SF36). Japan's Hayabusa (MUSES-C) made the first ascent from an extraterrestrial body other than the Moon, lifting off from asteroid 25143 Itokawa (1998 SF36).